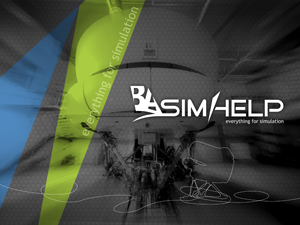 SimHelp: are the avionic updates necessary in a FFS? The sad experience of multiple Controlled Flight Into Terrain (CFIT) accidents was sorely asking for developing terrain awareness and warning system (TAWS) to avoid such accidents. Since 1974 it was mandatory to install Ground Proximity Warning System (GPWS) to large turbine powered aircrafts. Few years later GPWS was mandatory for smaller aircrafts too. Was the GPWS system effective as it was expected? Statistically events of CFIT were reduced almost 100 times since GPWS was introduced for aircrafts. Adequate CFIT training programs improved CFIT amount reduction significantly too. Common sense tells that configuration of Full Flight Simulator (FFS) must meet actual aircraft configuration as close as pilots could use their training skills adequately. Full Flight Simulators regulation document CS-FSTD (A), Subpart C states that ‘Timely and permanent update of hardware and programming subsequent to aeroplane modification sufficient for the qualification level sought.’ So, there is no surprise that GPWS simulation is installed to each FFS. GPWS mainly used radio altimeter signal to measure actual distance between aircraft and ground surface. This method was good enough until ground level changes in quite slow ratio. However GPWS by its own design can’t predict ground level from a bigger distance. GPWS had to be improved and since 1991 Enhanced Ground Proximity Warning System (EGPWS) was introduced. Precise aircraft coordinates from Global Positioning System (GPS) along with ground level database made that Enhancement. Newly developed EGPWS was able to monitor distance between aircraft and ground level using Radio Altimeter signal as it did in GPWS system, and predict the trend of ground level change in further distance as it was invisible by GPWS system. Many older FFS are still equipped by GPWS system and unfortunately can’t provide adequate training for today’s pilots which are operating aircrafts equipped by EGPWS systems. EGPWS has pre-loaded ground level and specific obstacles database. So, it will announce about approaching to natural or human-made obstacles (e.g. towers or tall buildings). GPWS will say no warning in advance. EGPWS uses Geometric Altitude algorithms and reduce CFIT possibility due the Baro Altitude errors because of temperatures variations. EGPWS has automatic runway ‘Picker’ function and let’s correctly select intended runway. EGPWS uses ‘Pitch Angle’ call-out which is activated if pitch angle exceeds 30 deg. of pitch angle. Excessive pitch angle leads to stall conditions and can be fatal. EGPWS uses improved algorithms to display ground heights and indicates dangerous zones by different colours. If any pilot will notify any of those differences during actual flight and he was not familiarized with them during FFS sessions, then consequences can be unpredictable. As we mentioned earlier the easiest way to avoid such confusion is to use FFS which is equipped by the same configuration avionics as the actual aircraft does. If FFS is still equipped by GPWS, then it’s time to update it to EGPWS.